Pitch Engine: Pinterest for the PR world? – Love PR? Pitch Engine: Pinterest for the PR world? Create and promote what you love. Engage your audience with amazing content for any device. 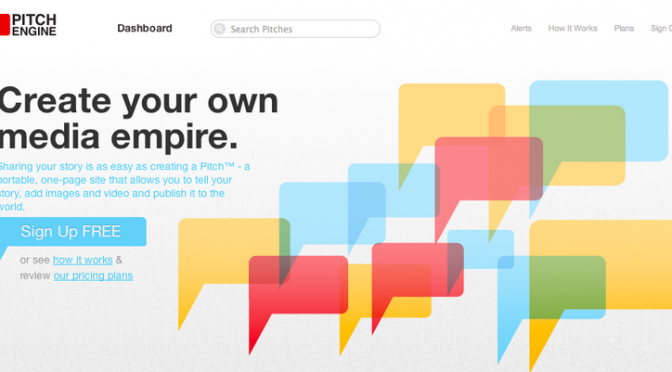 PitchEngine allow PR pros to create a pitch, publish it and finally, – the most important part-, to track it. Boasting a client list of over 50,000 brands, I’m confused as to why I haven’t heard of it sooner. According to their website, you can “Distribute your content through the Pitch™ Network, a growing ecosystem of publishers sharing content by the minute. Boost your Pitch to feature it on the PitchEngine.com home feed for increased visibility and discovery”. I think this is a great idea, finally a platform that engages and supports the online world rather than the traditional methods which are obviously still important in PR. However, online is the future.